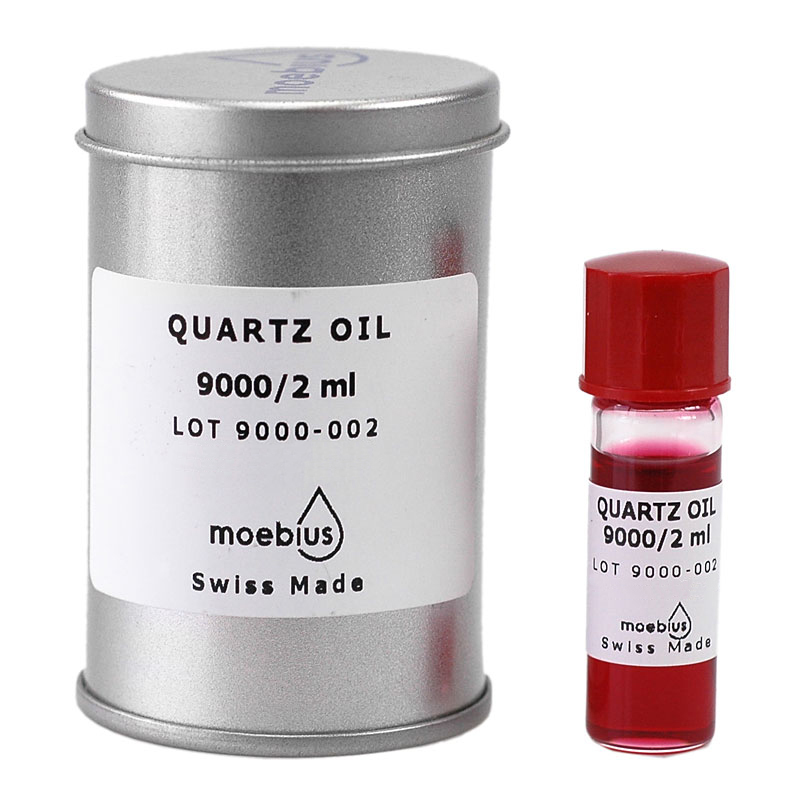 Moebius Quartz Oil Synthetic Lubricant (2ml). Excellent compatibility with plastics, very Good adherence, does not gum up. Application range -36° Celsius to 80° Celsius. Viscosity 100 cSt at 20° Celsius. For use in all analog quartz watches on rotor bearing and wheel gear.